A design firm have a genius solution to London’s housing crisis and it’s set to royally tick off some traditionalists. The German company has drawn up plans for a complete overhaul of Buckingham Palace, the house of the British monarch steeped in history, art and wealth. 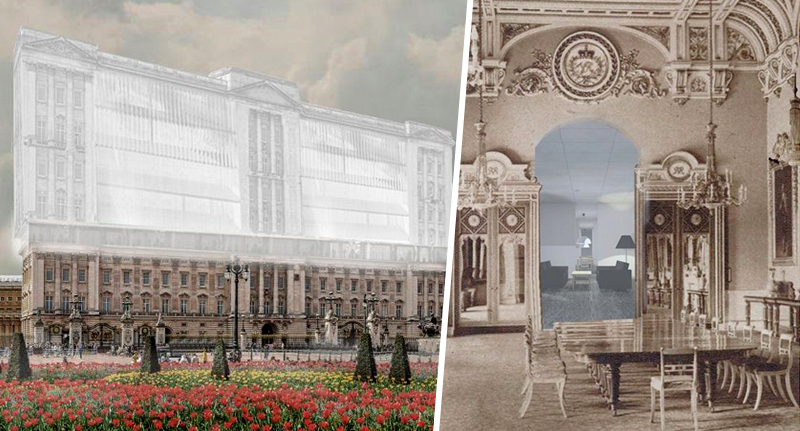 The architects from Opposite Office claim their redesigns for the home Queen Elizabeth II and The Duke of Edinburgh have shared for their 71 years of marriage would provide living arrangements for 50,000 Londoners. 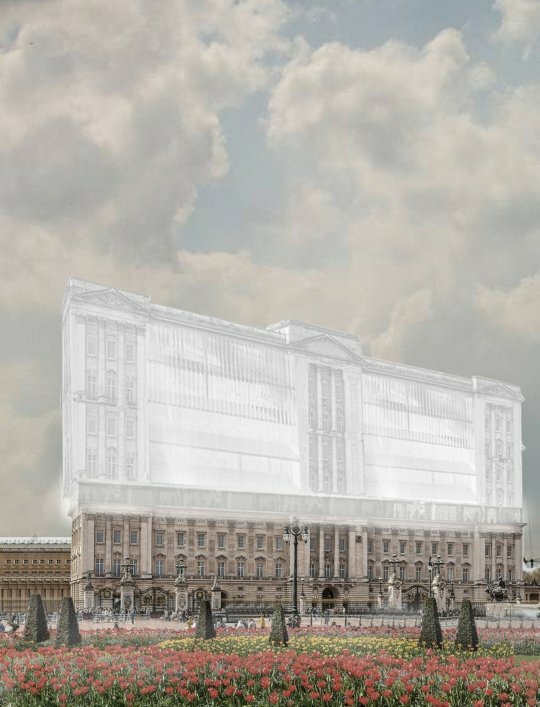 If the company’s designs were put into effect – in a highly unlikely display of sharing the wealth – Buckingham Palace and its 775 rooms would be completely transformed. The palace – a modern day tourist trap – was opened in 1703. Founder of the Munich-based company Benedikt Hartl wrote an open letter to the Queen about the proposals. In the letter, he reasons why Buckingham Palace should be turned into social housing at a time when a record number of people are sleeping rough in London. A normal earner can no longer afford to live in many large cities. Rent explodes and people live in precarious conditions. We live in a time of madness, a time when everything seems to be possible. Why shouldn’t it then be possible to transform Buckingham Palace, a symbol of royal power and wealth, into social housing? Figures show 3,103 people were found sleeping rough in the capital between July and September 2018. It’s the first time the total has exceeded 3,000 in a three-month period, according to data from the Combined Homelessness and Information Network. Charities have attributed the surge to a lack of affordable housing in London, and other cities beyond. The Affordable Palace designs illustrate a possible kind of solution to the problem – but they are an extreme take on communal living. 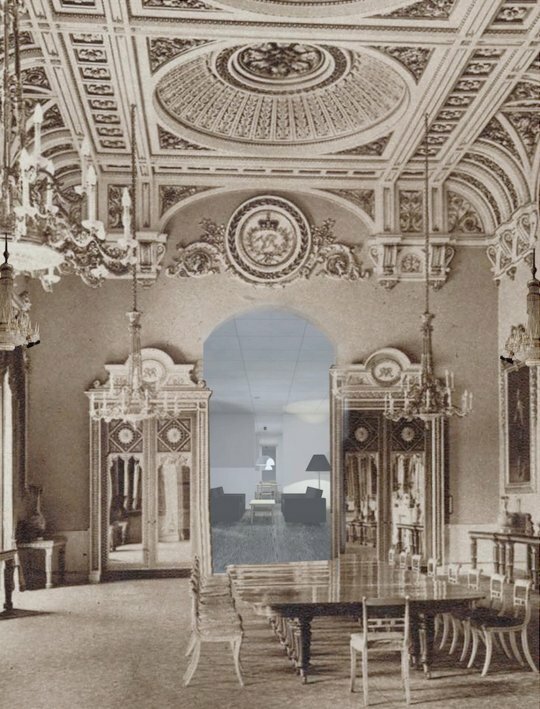 The living space would include no corridors, while folding screens and walls would allow for certain areas to be repurposed as needed and apartments would be connected by eight staircases. The architects have made provisions for private single and double bedrooms to have access to shared living rooms and dining areas, as reported by Metro. For us, it is important that you live together with people, not next to each other. The Affordable Palace should be a collective space for living, meeting people, cooking together, and drinking tea with the Royal Family – a democratic house. All men are created equal – that’s why all rooms are the same size. Part of Opposite Office’s plans would involve a multi-story extension placed on top of the structure, completely changing the iconic central London landscape. Buckingham Palace currently functions – if a little extravagantly – as the London residence and administrative headquarters of the monarch of the United Kingdom. Located in the City of Westminster, the palace is often at the centre of state occasions and royal hospitality, with a 77,000m² floor plan and standing 24m high. Well, you know what they say, sharing is caring and it sounds like there’s enough room to go around. Sleepover at the Queen’s place?